This 2019 Ram 1500 Big Horn/Lone Star is proudly offered by Landers McLarty Huntsville Chrysler This Ram includes: ENGINE: 5.7L V8 HEMI MDS VVT Gas/Electric Hybrid 8 Cylinder Engine MAXIMUM STEEL METALLIC CLEARCOAT TRAILER BRAKE CONTROL ANTI-SPIN DIFFERENTIAL REAR AXLE Locking/Limited Slip Differential QUICK ORDER PACKAGE 25Z BIG HORN/LONE STAR Steering Wheel Audio Controls MANUFACTURER'S STATEMENT OF ORIGIN FRONT & REAR RUBBER FLOOR MATS Floor Mats BIG HORN LEVEL 1 EQUIPMENT GROUP Driver Vanity Mirror Smart Device Integration Integrated Turn Signal Mirrors HD Radio Passenger Vanity Mirror Power Mirror(s) CD Player Auto-Dimming Rearview Mirror Universal Garage Door Opener Heated Mirrors Rear Defrost AM/FM Stereo Power Driver Seat Satellite Radio Tow Hitch Adjustable Pedals Bluetooth Connection Passenger Illuminated Visor Mirror Driver Illuminated Vanity Mirror Power Folding Mirrors Driver Adjustable Lumbar TRANSMISSION: 8-SPEED AUTOMATIC (8HP75) (DISC) 8-Speed A/T Transmission w/Dual Shift Mode A/T *Note - For third party subscriptions or services, please contact the dealer for more information. * The Ram 1500 Big Horn/Lone Star will provide you with everything you have always wanted in a car -- Quality, Reliability, and Character. Based on the superb condition of this vehicle, along with the options and color, this Ram 1500 Big Horn/Lone Star is sure to sell fast. You've found the one you've been looking for. Your dream car. This Vehicle Does Not Include Tax,Title, And $699 Doc Fee. This 2019 Ram 1500 Big Horn/Lone Star is offered to you for sale by Landers McLarty Huntsville Chrysler. This Ram includes: ENGINE: 5.7L V8 HEMI MDS VVT Gas/Electric Hybrid 8 Cylinder Engine TRAILER BRAKE CONTROL ANTI-SPIN DIFFERENTIAL REAR AXLE Locking/Limited Slip Differential QUICK ORDER PACKAGE 25Z BIG HORN/LONE STAR Steering Wheel Audio Controls MANUFACTURER'S STATEMENT OF ORIGIN FRONT & REAR RUBBER FLOOR MATS Floor Mats BIG HORN LEVEL 1 EQUIPMENT GROUP Driver Vanity Mirror Smart Device Integration Integrated Turn Signal Mirrors HD Radio Passenger Vanity Mirror Power Mirror(s) CD Player Auto-Dimming Rearview Mirror Universal Garage Door Opener Heated Mirrors Rear Defrost AM/FM Stereo Power Driver Seat Satellite Radio Tow Hitch Adjustable Pedals Bluetooth Connection Passenger Illuminated Visor Mirror Driver Illuminated Vanity Mirror Power Folding Mirrors Driver Adjustable Lumbar TRANSMISSION: 8-SPEED AUTOMATIC (8HP75) (DISC) 8-Speed A/T Transmission w/Dual Shift Mode A/T DIAMOND BLACK CRYSTAL PEARLCOAT *Note - For third party subscriptions or services, please contact the dealer for more information. * Beautiful color combination with C exterior over E1X8 interior making this the one to own! Just what you've been looking for. With quality in mind, this vehicle is the perfect addition to take home. The Ram 1500 Big Horn/Lone Star will provide you with everything you have always wanted in a car -- Quality, Reliability, and Character. This Vehicle Does Not Include Tax,Title, And $699 Doc Fee. This 2019 Ram 1500 Big Horn/Lone Star is offered to you for sale by Landers McLarty Huntsville Chrysler. This Ram includes: ENGINE: 5.7L V8 HEMI MDS VVT Gas/Electric Hybrid 8 Cylinder Engine TRAILER BRAKE CONTROL ANTI-SPIN DIFFERENTIAL REAR AXLE Locking/Limited Slip Differential QUICK ORDER PACKAGE 25Z BIG HORN/LONE STAR Steering Wheel Audio Controls MANUFACTURER'S STATEMENT OF ORIGIN FRONT & REAR RUBBER FLOOR MATS Floor Mats BIG HORN LEVEL 1 EQUIPMENT GROUP Driver Vanity Mirror Smart Device Integration Integrated Turn Signal Mirrors HD Radio Passenger Vanity Mirror Power Mirror(s) CD Player Auto-Dimming Rearview Mirror Universal Garage Door Opener Heated Mirrors Rear Defrost AM/FM Stereo Power Driver Seat Satellite Radio Tow Hitch Adjustable Pedals Bluetooth Connection Passenger Illuminated Visor Mirror Driver Illuminated Vanity Mirror Power Folding Mirrors Driver Adjustable Lumbar TRANSMISSION: 8-SPEED AUTOMATIC (8HP75) (DISC) 8-Speed A/T Transmission w/Dual Shift Mode A/T DIAMOND BLACK CRYSTAL PEARLCOAT *Note - For third party subscriptions or services, please contact the dealer for more information. * The Ram 1500 Big Horn/Lone Star will provide you with everything you have always wanted in a car -- Quality, Reliability, and Character. You can finally stop searching... You've found the one you've been looking for. Just what you've been looking for. With quality in mind, this vehicle is the perfect addition to take home. This Vehicle Does Not Include Tax,Title, And $699 Doc Fee. This 2019 Ram 1500 Big Horn/Lone Star is proudly offered by Landers McLarty Huntsville Chrysler This Ram includes: ENGINE: 5.7L V8 HEMI MDS VVT Gas/Electric Hybrid 8 Cylinder Engine MAXIMUM STEEL METALLIC CLEARCOAT TRAILER BRAKE CONTROL ANTI-SPIN DIFFERENTIAL REAR AXLE Locking/Limited Slip Differential QUICK ORDER PACKAGE 25Z BIG HORN/LONE STAR Steering Wheel Audio Controls MANUFACTURER'S STATEMENT OF ORIGIN FRONT & REAR RUBBER FLOOR MATS Floor Mats BIG HORN LEVEL 1 EQUIPMENT GROUP Driver Vanity Mirror Smart Device Integration Integrated Turn Signal Mirrors HD Radio Passenger Vanity Mirror Power Mirror(s) CD Player Auto-Dimming Rearview Mirror Universal Garage Door Opener Heated Mirrors Rear Defrost AM/FM Stereo Power Driver Seat Satellite Radio Tow Hitch Adjustable Pedals Bluetooth Connection Passenger Illuminated Visor Mirror Driver Illuminated Vanity Mirror Power Folding Mirrors Driver Adjustable Lumbar TRANSMISSION: 8-SPEED AUTOMATIC (8HP75) (DISC) 8-Speed A/T Transmission w/Dual Shift Mode A/T *Note - For third party subscriptions or services, please contact the dealer for more information. * Just what you've been looking for. With quality in mind, this vehicle is the perfect addition to take home. You've found the one you've been looking for. Your dream car. This is the one. Just what you've been looking for. This Vehicle Does Not Include Tax,Title, And $699 Doc Fee. Contact Landers McLarty Huntsville Chrysler today for information on dozens of vehicles like this 2019 Ram 1500 Big Horn/Lone Star. This Ram includes: ENGINE: 5.7L V8 HEMI MDS VVT Gas/Electric Hybrid 8 Cylinder Engine TRAILER BRAKE CONTROL ANTI-SPIN DIFFERENTIAL REAR AXLE Locking/Limited Slip Differential QUICK ORDER PACKAGE 25Z BIG HORN/LONE STAR Steering Wheel Audio Controls MANUFACTURER'S STATEMENT OF ORIGIN FRONT & REAR RUBBER FLOOR MATS Floor Mats BIG HORN LEVEL 1 EQUIPMENT GROUP Driver Vanity Mirror Smart Device Integration Integrated Turn Signal Mirrors HD Radio Passenger Vanity Mirror Power Mirror(s) CD Player Auto-Dimming Rearview Mirror Universal Garage Door Opener Heated Mirrors Rear Defrost AM/FM Stereo Power Driver Seat Satellite Radio Tow Hitch Adjustable Pedals Bluetooth Connection Passenger Illuminated Visor Mirror Driver Illuminated Vanity Mirror Power Folding Mirrors Driver Adjustable Lumbar TRANSMISSION: 8-SPEED AUTOMATIC (8HP75) (DISC) 8-Speed A/T Transmission w/Dual Shift Mode A/T GRANITE CRYSTAL METALLIC CLEARCOAT *Note - For third party subscriptions or services, please contact the dealer for more information. * This is the one. Just what you've been looking for. This is about the time when you're saying it is too good to be true, and let us be the one's to tell you, it is absolutely true. Just what you've been looking for. With quality in mind, this vehicle is the perfect addition to take home. This Vehicle Does Not Include Tax,Title, And $699 Doc Fee. Contact Landers McLarty Huntsville Chrysler today for information on dozens of vehicles like this 2019 Ram 1500 Big Horn/Lone Star. Pull up in the vehicle and the valet will want to parked on the front row. This Ram 1500 is the vehicle others dream to own. Don't miss your chance to make it your new ride. This Ram 1500 Big Horn/Lone Star comes equipped with 4 wheel drive, which means no limitations as to how or where you can drive. Different terrains and varying weather conditions will have no effect as to how this vehicle performs. The look is unmistakably Ram, the smooth contours and cutting-edge technology of this Ram 1500 Big Horn/Lone Star will definitely turn heads. You can finally stop searching... You've found the one you've been looking for. This Vehicle Does Not Include Tax,Title, And $699 Doc Fee. This 2019 Ram 1500 Tradesman is offered to you for sale by Landers McLarty Huntsville Chrysler. This Ram includes: 3.92 REAR AXLE RATIO TRADESMAN GROUP Bed Liner ENGINE: 5.7L V8 HEMI MDS VVT Gas/Electric Hybrid 8 Cylinder Engine FRONT & REAR RUBBER FLOOR MATS Floor Mats ANTI-SPIN DIFFERENTIAL REAR AXLE Locking/Limited Slip Differential QUICK ORDER PACKAGE 25A TRADESMAN TRANSMISSION: 8-SPEED AUTOMATIC (8HP75) (DISC) 8-Speed A/T Transmission w/Dual Shift Mode A/T BRIGHT WHITE CLEARCOAT BED UTILITY GROUP TRAILER TOW GROUP Integrated Turn Signal Mirrors Power Mirror(s) Heated Mirrors Tow Hitch TRADESMAN LEVEL 1 EQUIPMENT GROUP Floor Mats Satellite Radio CHROME APPEARANCE GROUP Aluminum Wheels *Note - For third party subscriptions or services, please contact the dealer for more information. * Beautiful color combination with Pw7 exterior over V9X9 interior making this the one to own! This is the one. Just what you've been looking for. The Ram 1500 Tradesman will provide you with everything you have always wanted in a car -- Quality, Reliability, and Character. This Vehicle Does Not Include Tax,Title, And $699 Doc Fee. This outstanding example of a 2019 Ram 1500 Big Horn/Lone Star is offered by Landers McLarty Huntsville Chrysler. This Ram includes: BIG HORN LEVEL 2 EQUIPMENT GROUP Multi-Zone A/C Driver Vanity Mirror Remote Engine Start Smart Device Integration Integrated Turn Signal Mirrors HD Radio Passenger Vanity Mirror A/C Power Mirror(s) CD Player Heated Steering Wheel Climate Control Auto-Dimming Rearview Mirror Rear Parking Aid Universal Garage Door Opener Heated Mirrors Security System Rear Defrost AM/FM Stereo Power Driver Seat Heated Front Seat(s) Satellite Radio Tow Hitch Adjustable Pedals Bluetooth Connection Passenger Illuminated Visor Mirror Driver Illuminated Vanity Mirror Auxiliary Audio Input Power Folding Mirrors Driver Adjustable Lumbar ANTI-SPIN DIFFERENTIAL REAR AXLE Locking/Limited Slip Differential FRONT & REAR RUBBER FLOOR MATS Floor Mats PREMIUM LIGHTING GROUP Fog Lamps QUICK ORDER PACKAGE 25Z BIG HORN/LONE STAR Steering Wheel Audio Controls BLIND SPOT Blind Spot Monitor Cross-Traffic Alert ENGINE: 5.7L V8 HEMI MDS VVT Gas/Electric Hybrid 8 Cylinder Engine BED UTILITY GROUP Bed Liner TRANSMISSION: 8-SPEED AUTOMATIC (8HP75) 8-Speed A/T Transmission w/Dual Shift Mode A/T SPORT APPEARANCE PACKAGE Integrated Turn Signal Mirrors Tires - Front Performance Power Mirror(s) Heated Mirrors Tires - Rear Performance Power Folding Mirrors 3.92 REAR AXLE RATIO WHEELS: 20 Chrome Wheels DELMONICO RED PEARLCOAT TRAILER BRAKE CONTROL *Note - For third party subscriptions or services, please contact the dealer for more information. * Pull up in the vehicle and the valet will want to parked on the front row. This Ram 1500 is the vehicle others dream to own. Don't miss your chance to make it your new ride. Taking the road less traveled has never been more fun than with this 4WD. With improved performance, mileage and acceleration, this 2019 4WD Ram 1500 Big Horn/Lone Star is king of the off-road. This is about the time when you're saying it is too good to be true, and let us be the one's to tell you, it is absolutely true. This Vehicle Does Not Include Tax,Title, And $699 Doc Fee. This 2019 Ram 1500 Big Horn/Lone Star is proudly offered by Landers McLarty Huntsville Chrysler This Ram includes: BIG HORN LEVEL 2 EQUIPMENT GROUP Multi-Zone A/C Driver Vanity Mirror Remote Engine Start Smart Device Integration Integrated Turn Signal Mirrors HD Radio Passenger Vanity Mirror A/C Power Mirror(s) CD Player Heated Steering Wheel Climate Control Auto-Dimming Rearview Mirror Rear Parking Aid Universal Garage Door Opener Heated Mirrors Security System Rear Defrost AM/FM Stereo Power Driver Seat Heated Front Seat(s) Satellite Radio Tow Hitch Adjustable Pedals Bluetooth Connection Passenger Illuminated Visor Mirror Driver Illuminated Vanity Mirror Auxiliary Audio Input Power Folding Mirrors Driver Adjustable Lumbar ANTI-SPIN DIFFERENTIAL REAR AXLE Locking/Limited Slip Differential FRONT & REAR RUBBER FLOOR MATS Floor Mats PREMIUM LIGHTING GROUP Fog Lamps QUICK ORDER PACKAGE 25Z BIG HORN/LONE STAR Steering Wheel Audio Controls BLIND SPOT Blind Spot Monitor Cross-Traffic Alert ENGINE: 5.7L V8 HEMI MDS VVT Gas/Electric Hybrid 8 Cylinder Engine BED UTILITY GROUP Bed Liner BLACK FOREST GREEN PEARLCOAT TRANSMISSION: 8-SPEED AUTOMATIC (8HP75) 8-Speed A/T Transmission w/Dual Shift Mode A/T SPORT APPEARANCE PACKAGE Integrated Turn Signal Mirrors Tires - Front Performance Power Mirror(s) Heated Mirrors Tires - Rear Performance Power Folding Mirrors 3.92 REAR AXLE RATIO WHEELS: 20 Chrome Wheels TRAILER BRAKE CONTROL *Note - For third party subscriptions or services, please contact the dealer for more information. * There's a level of quality and refinement in this Ram 1500 that you won't find in your average vehicle. This 4WD-equipped vehicle will handle beautifully on any terrain and in any weather condition your may find yourself in. The benefits of driving a 4 wheel drive vehicle, such as this Ram 1500 Big Horn/Lone Star, include superior acceleration, improved steering, and increased traction and stability. The look is unmistakably Ram, the smooth contours and cutting-edge technology of this Ram 1500 Big Horn/Lone Star will definitely turn heads. This Vehicle Does Not Include Tax,Title, And $699 Doc Fee. You can find this 2019 Ram 1500 Big Horn/Lone Star and many others like it at Landers McLarty Huntsville Chrysler. This Ram includes: BIG HORN LEVEL 2 EQUIPMENT GROUP Multi-Zone A/C Driver Vanity Mirror Remote Engine Start Smart Device Integration Integrated Turn Signal Mirrors HD Radio Passenger Vanity Mirror A/C Power Mirror(s) CD Player Heated Steering Wheel Climate Control Auto-Dimming Rearview Mirror Rear Parking Aid Universal Garage Door Opener Heated Mirrors Security System Rear Defrost AM/FM Stereo Power Driver Seat Heated Front Seat(s) Satellite Radio Tow Hitch Adjustable Pedals Bluetooth Connection Passenger Illuminated Visor Mirror Driver Illuminated Vanity Mirror Auxiliary Audio Input Power Folding Mirrors Driver Adjustable Lumbar ANTI-SPIN DIFFERENTIAL REAR AXLE Locking/Limited Slip Differential FRONT & REAR RUBBER FLOOR MATS Floor Mats PREMIUM LIGHTING GROUP Fog Lamps QUICK ORDER PACKAGE 25Z BIG HORN/LONE STAR Steering Wheel Audio Controls MAXIMUM STEEL METALLIC CLEARCOAT BLIND SPOT Blind Spot Monitor Cross-Traffic Alert ENGINE: 5.7L V8 HEMI MDS VVT Gas/Electric Hybrid 8 Cylinder Engine BED UTILITY GROUP Bed Liner TRANSMISSION: 8-SPEED AUTOMATIC (8HP75) 8-Speed A/T Transmission w/Dual Shift Mode A/T SPORT APPEARANCE PACKAGE Integrated Turn Signal Mirrors Tires - Front Performance Power Mirror(s) Heated Mirrors Tires - Rear Performance Power Folding Mirrors 3.92 REAR AXLE RATIO WHEELS: 20 Chrome Wheels TRAILER BRAKE CONTROL *Note - For third party subscriptions or services, please contact the dealer for more information. * There's a level of quality and refinement in this Ram 1500 that you won't find in your average vehicle. Do you encounter heavy snow, rain or mud when driving? No problem. With this vehicle, you've got the power of 4WD to help you overcome the toughest terrain. Based on the superb condition of this vehicle, along with the options and color, this Ram 1500 Big Horn/Lone Star is sure to sell fast. This Vehicle Does Not Include Tax,Title, And $699 Doc Fee. This 2019 Ram 1500 Big Horn/Lone Star is proudly offered by Landers McLarty Huntsville Chrysler This Ram includes: NORTH EDITION Integrated Turn Signal Mirrors Locking/Limited Slip Differential Power Mirror(s) Heated Mirrors Conventional Spare Tire Floor Mats Tow Hooks Power Folding Mirrors BIG HORN LEVEL 2 EQUIPMENT GROUP Multi-Zone A/C Driver Vanity Mirror Remote Engine Start Smart Device Integration Integrated Turn Signal Mirrors HD Radio Passenger Vanity Mirror A/C Power Mirror(s) CD Player Heated Steering Wheel Climate Control Auto-Dimming Rearview Mirror Rear Parking Aid Universal Garage Door Opener Heated Mirrors Security System Rear Defrost AM/FM Stereo Power Driver Seat Heated Front Seat(s) Satellite Radio Tow Hitch Adjustable Pedals Bluetooth Connection Passenger Illuminated Visor Mirror Driver Illuminated Vanity Mirror Auxiliary Audio Input Power Folding Mirrors Driver Adjustable Lumbar PREMIUM LIGHTING GROUP Fog Lamps QUICK ORDER PACKAGE 27Z BIG HORN/LONE STAR Steering Wheel Audio Controls BLIND SPOT Blind Spot Monitor Cross-Traffic Alert BED UTILITY GROUP Bed Liner WHEELS: 20 Chrome Wheels ENGINE: 5.7L V8 HEMI MDS VVT ETORQUE Gas/Electric Hybrid 8 Cylinder Engine TRANSMISSION: 8-SPEED AUTOMATIC (8HP75) 8-Speed A/T Transmission w/Dual Shift Mode A/T DIAMOND BLACK CRYSTAL PEARLCOAT RAMBOX CARGO MANAGEMENT SYSTEM 3.92 REAR AXLE RATIO TRAILER BRAKE CONTROL *Note - For third party subscriptions or services, please contact the dealer for more information. * There's a level of quality and refinement in this Ram 1500 that you won't find in your average vehicle. At home in the country and in the city, this 2019 4WD Ram 1500 Big Horn/Lone Star has been wonderfully refined to handle any occasion. Smooth steering, superior acceleration and a supple ride are just a few of its qualities. Based on the superb condition of this vehicle, along with the options and color, this Ram 1500 Big Horn/Lone Star is sure to sell fast. This Vehicle Does Not Include Tax,Title, And $699 Doc Fee. This 2019 Ram 1500 Big Horn/Lone Star is proudly offered by Landers McLarty Huntsville Chrysler This Ram includes: TRAILER BRAKE CONTROL ENGINE: 5.7L V8 HEMI MDS VVT Gas/Electric Hybrid 8 Cylinder Engine REAR UNDERSEAT COMPARTMENT STORAGE TIRES: 275/55R20 ALL SEASON LRR Tires - Front Performance Tires - Rear Performance 9 AMPLIFIED SPEAKERS W/SUBWOOFER Premium Sound System QUICK ORDER PACKAGE 25Z BIG HORN/LONE STAR Steering Wheel Audio Controls REAR WHEELHOUSE LINERS ANTI-SPIN DIFFERENTIAL REAR AXLE Locking/Limited Slip Differential DIAMOND BLACK CRYSTAL PEARLCOAT BIG HORN LEVEL 1 EQUIPMENT GROUP Driver Vanity Mirror Smart Device Integration Integrated Turn Signal Mirrors HD Radio Passenger Vanity Mirror Power Mirror(s) CD Player Auto-Dimming Rearview Mirror Universal Garage Door Opener Heated Mirrors Rear Defrost AM/FM Stereo Power Driver Seat Satellite Radio Tow Hitch Adjustable Pedals Bluetooth Connection Passenger Illuminated Visor Mirror Driver Illuminated Vanity Mirror Power Folding Mirrors Driver Adjustable Lumbar WHEELS: 20 Chrome Wheels TRANSMISSION: 8-SPEED AUTOMATIC (8HP75) (DISC) 8-Speed A/T Transmission w/Dual Shift Mode A/T *Note - For third party subscriptions or services, please contact the dealer for more information. * The Ram 1500 Big Horn/Lone Star will provide you with everything you have always wanted in a car -- Quality, Reliability, and Character. Look no further, you have found exactly what you've been looking for. You could keep looking, but why? You've found the perfect vehicle right here. This Vehicle Does Not Include Tax,Title, And $699 Doc Fee. This 2019 Ram 1500 Big Horn/Lone Star is proudly offered by Landers McLarty Huntsville Chrysler This Ram includes: TRAILER BRAKE CONTROL ENGINE: 5.7L V8 HEMI MDS VVT Gas/Electric Hybrid 8 Cylinder Engine REAR UNDERSEAT COMPARTMENT STORAGE TIRES: 275/55R20 ALL SEASON LRR Tires - Front Performance Tires - Rear Performance 9 AMPLIFIED SPEAKERS W/SUBWOOFER Premium Sound System RUGGED BROWN PEARLCOAT QUICK ORDER PACKAGE 25Z BIG HORN/LONE STAR Steering Wheel Audio Controls REAR WHEELHOUSE LINERS ANTI-SPIN DIFFERENTIAL REAR AXLE Locking/Limited Slip Differential BIG HORN LEVEL 1 EQUIPMENT GROUP Driver Vanity Mirror Smart Device Integration Integrated Turn Signal Mirrors HD Radio Passenger Vanity Mirror Power Mirror(s) CD Player Auto-Dimming Rearview Mirror Universal Garage Door Opener Heated Mirrors Rear Defrost AM/FM Stereo Power Driver Seat Satellite Radio Tow Hitch Adjustable Pedals Bluetooth Connection Passenger Illuminated Visor Mirror Driver Illuminated Vanity Mirror Power Folding Mirrors Driver Adjustable Lumbar WHEELS: 20 Chrome Wheels TRANSMISSION: 8-SPEED AUTOMATIC (8HP75) (DISC) 8-Speed A/T Transmission w/Dual Shift Mode A/T *Note - For third party subscriptions or services, please contact the dealer for more information. * This is about the time when you're saying it is too good to be true, and let us be the one's to tell you, it is absolutely true. The Ram 1500 Big Horn/Lone Star will provide you with everything you have always wanted in a car -- Quality, Reliability, and Character. You could keep looking, but why? You've found the perfect vehicle right here. This Vehicle Does Not Include Tax,Title, And $699 Doc Fee. Contact Landers McLarty Huntsville Chrysler today for information on dozens of vehicles like this 2019 Ram 1500 Big Horn/Lone Star. This Ram includes: TRAILER BRAKE CONTROL ENGINE: 5.7L V8 HEMI MDS VVT Gas/Electric Hybrid 8 Cylinder Engine REAR UNDERSEAT COMPARTMENT STORAGE TIRES: 275/55R20 ALL SEASON LRR Tires - Front Performance Tires - Rear Performance BILLET SILVER METALLIC CLEARCOAT 9 AMPLIFIED SPEAKERS W/SUBWOOFER Premium Sound System QUICK ORDER PACKAGE 25Z BIG HORN/LONE STAR Steering Wheel Audio Controls REAR WHEELHOUSE LINERS ANTI-SPIN DIFFERENTIAL REAR AXLE Locking/Limited Slip Differential BIG HORN LEVEL 1 EQUIPMENT GROUP Driver Vanity Mirror Smart Device Integration Integrated Turn Signal Mirrors HD Radio Passenger Vanity Mirror Power Mirror(s) CD Player Auto-Dimming Rearview Mirror Universal Garage Door Opener Heated Mirrors Rear Defrost AM/FM Stereo Power Driver Seat Satellite Radio Tow Hitch Adjustable Pedals Bluetooth Connection Passenger Illuminated Visor Mirror Driver Illuminated Vanity Mirror Power Folding Mirrors Driver Adjustable Lumbar WHEELS: 20 Chrome Wheels TRANSMISSION: 8-SPEED AUTOMATIC (8HP75) (DISC) 8-Speed A/T Transmission w/Dual Shift Mode A/T *Note - For third party subscriptions or services, please contact the dealer for more information. * You could keep looking, but why? You've found the perfect vehicle right here. The Ram 1500 Big Horn/Lone Star will provide you with everything you have always wanted in a car -- Quality, Reliability, and Character. You've found the one you've been looking for. Your dream car. This Vehicle Does Not Include Tax,Title, And $699 Doc Fee. This outstanding example of a 2019 Ram 1500 Big Horn/Lone Star is offered by Landers McLarty Huntsville Chrysler. This Ram includes: NORTH EDITION Integrated Turn Signal Mirrors Locking/Limited Slip Differential Power Mirror(s) Heated Mirrors Conventional Spare Tire Floor Mats Tow Hooks Power Folding Mirrors BIG HORN LEVEL 2 EQUIPMENT GROUP Multi-Zone A/C Driver Vanity Mirror Remote Engine Start Smart Device Integration Integrated Turn Signal Mirrors HD Radio Passenger Vanity Mirror A/C Power Mirror(s) CD Player Heated Steering Wheel Climate Control Auto-Dimming Rearview Mirror Rear Parking Aid Universal Garage Door Opener Heated Mirrors Security System Rear Defrost AM/FM Stereo Power Driver Seat Heated Front Seat(s) Satellite Radio Tow Hitch Adjustable Pedals Bluetooth Connection Passenger Illuminated Visor Mirror Driver Illuminated Vanity Mirror Auxiliary Audio Input Power Folding Mirrors Driver Adjustable Lumbar RADIO: UCONNECT 4C NAV Multi-Zone A/C Smart Device Integration HD Radio A/C Climate Control AM/FM Stereo Satellite Radio Telematics REAR WHEELHOUSE LINERS PREMIUM LIGHTING GROUP Fog Lamps QUICK ORDER PACKAGE 27Z BIG HORN/LONE STAR Steering Wheel Audio Controls 4-CORNER AIR SUSPENSION Air Suspension BED UTILITY GROUP Bed Liner REAR UNDERSEAT COMPARTMENT STORAGE WHEELS: 20 Chrome Wheels BLACK FOREST GREEN PEARLCOAT ENGINE: 5.7L V8 HEMI MDS VVT ETORQUE Gas/Electric Hybrid 8 Cylinder Engine TRANSMISSION: 8-SPEED AUTOMATIC (8HP75) 8-Speed A/T Transmission w/Dual Shift Mode A/T 9 AMPLIFIED SPEAKERS W/SUBWOOFER Premium Sound System 3.92 REAR AXLE RATIO TRAILER BRAKE CONTROL *Note - For third party subscriptions or services, please contact the dealer for more information. * Pull up in the vehicle and the valet will want to parked on the front row. This Ram 1500 is the vehicle others dream to own. Don't miss your chance to make it your new ride. Do you encounter heavy snow, rain or mud when driving? No problem. With this vehicle, you've got the power of 4WD to help you overcome the toughest terrain. Just what you've been looking for. With quality in mind, this vehicle is the perfect addition to take home. This Vehicle Does Not Include Tax,Title, And $699 Doc Fee. This outstanding example of a 2019 Ram 1500 Big Horn/Lone Star is offered by Landers McLarty Huntsville Chrysler. This Ram includes: NORTH EDITION Integrated Turn Signal Mirrors Locking/Limited Slip Differential Power Mirror(s) Heated Mirrors Conventional Spare Tire Floor Mats Tow Hooks Power Folding Mirrors BIG HORN LEVEL 2 EQUIPMENT GROUP Multi-Zone A/C Driver Vanity Mirror Remote Engine Start Smart Device Integration Integrated Turn Signal Mirrors HD Radio Passenger Vanity Mirror A/C Power Mirror(s) CD Player Heated Steering Wheel Climate Control Auto-Dimming Rearview Mirror Rear Parking Aid Universal Garage Door Opener Heated Mirrors Security System Rear Defrost AM/FM Stereo Power Driver Seat Heated Front Seat(s) Satellite Radio Tow Hitch Adjustable Pedals Bluetooth Connection Passenger Illuminated Visor Mirror Driver Illuminated Vanity Mirror Auxiliary Audio Input Power Folding Mirrors Driver Adjustable Lumbar RADIO: UCONNECT 4C NAV Multi-Zone A/C Smart Device Integration HD Radio A/C Climate Control AM/FM Stereo Satellite Radio Telematics REAR WHEELHOUSE LINERS BILLET SILVER METALLIC CLEARCOAT PREMIUM LIGHTING GROUP Fog Lamps QUICK ORDER PACKAGE 27Z BIG HORN/LONE STAR Steering Wheel Audio Controls 4-CORNER AIR SUSPENSION Air Suspension BED UTILITY GROUP Bed Liner REAR UNDERSEAT COMPARTMENT STORAGE WHEELS: 20 Chrome Wheels ENGINE: 5.7L V8 HEMI MDS VVT ETORQUE Gas/Electric Hybrid 8 Cylinder Engine TRANSMISSION: 8-SPEED AUTOMATIC (8HP75) 8-Speed A/T Transmission w/Dual Shift Mode A/T 9 AMPLIFIED SPEAKERS W/SUBWOOFER Premium Sound System 3.92 REAR AXLE RATIO TRAILER BRAKE CONTROL *Note - For third party subscriptions or services, please contact the dealer for more information. * Pull up in the vehicle and the valet will want to parked on the front row. This Ram 1500 is the vehicle others dream to own. Don't miss your chance to make it your new ride. With 4WD, you can take this 2019 Ram 1500 to places roads don't go. It's all about the adventure and getting the most enjoyment out of your new ride. This is the one. Just what you've been looking for. This Vehicle Does Not Include Tax,Title, And $699 Doc Fee. This 2019 Ram 1500 Big Horn/Lone Star is offered to you for sale by Landers McLarty Huntsville Chrysler. This Ram includes: NORTH EDITION Integrated Turn Signal Mirrors Locking/Limited Slip Differential Power Mirror(s) Heated Mirrors Conventional Spare Tire Floor Mats Tow Hooks Power Folding Mirrors DUAL-PANE PANORAMIC SUNROOF Generic Sun/Moonroof Sun/Moonroof BIG HORN LEVEL 2 EQUIPMENT GROUP Multi-Zone A/C Driver Vanity Mirror Remote Engine Start Smart Device Integration Integrated Turn Signal Mirrors HD Radio Passenger Vanity Mirror A/C Power Mirror(s) CD Player Heated Steering Wheel Climate Control Auto-Dimming Rearview Mirror Rear Parking Aid Universal Garage Door Opener Heated Mirrors Security System Rear Defrost AM/FM Stereo Power Driver Seat Heated Front Seat(s) Satellite Radio Tow Hitch Adjustable Pedals Bluetooth Connection Passenger Illuminated Visor Mirror Driver Illuminated Vanity Mirror Auxiliary Audio Input Power Folding Mirrors Driver Adjustable Lumbar RADIO: UCONNECT 4C NAV Multi-Zone A/C Smart Device Integration HD Radio A/C Climate Control AM/FM Stereo Satellite Radio Telematics REAR WHEELHOUSE LINERS PREMIUM LIGHTING GROUP Fog Lamps QUICK ORDER PACKAGE 25Z BIG HORN/LONE STAR Steering Wheel Audio Controls 4-CORNER AIR SUSPENSION Air Suspension ENGINE: 5.7L V8 HEMI MDS VVT Gas/Electric Hybrid 8 Cylinder Engine BED UTILITY GROUP Bed Liner REAR UNDERSEAT COMPARTMENT STORAGE WHEELS: 20 Chrome Wheels TRANSMISSION: 8-SPEED AUTOMATIC (8HP75) 8-Speed A/T Transmission w/Dual Shift Mode A/T FLAME RED CLEARCOAT 9 AMPLIFIED SPEAKERS W/SUBWOOFER Premium Sound System 3.92 REAR AXLE RATIO TRAILER BRAKE CONTROL *Note - For third party subscriptions or services, please contact the dealer for more information. * You deserve a vehicle designed for higher expectations. This Ram 1500 delivers with a luxurious, well-appointed interior and world-class engineering. Equipped with 4WD, this Ram 1500 gives you added confidence to tackle the surface of any path you take. This is the one. Just what you've been looking for. This Vehicle Does Not Include Tax,Title, And $699 Doc Fee. This 2019 Ram 1500 Big Horn/Lone Star is offered to you for sale by Landers McLarty Huntsville Chrysler. This Ram includes: TRAILER BRAKE CONTROL ENGINE: 5.7L V8 HEMI MDS VVT Gas/Electric Hybrid 8 Cylinder Engine GRANITE CRYSTAL METALLIC CLEARCOAT REAR UNDERSEAT COMPARTMENT STORAGE TIRES: 275/55R20 ALL SEASON LRR Tires - Front Performance Tires - Rear Performance 9 AMPLIFIED SPEAKERS W/SUBWOOFER Premium Sound System QUICK ORDER PACKAGE 25Z BIG HORN/LONE STAR Steering Wheel Audio Controls REAR WHEELHOUSE LINERS ANTI-SPIN DIFFERENTIAL REAR AXLE Locking/Limited Slip Differential BIG HORN LEVEL 1 EQUIPMENT GROUP Driver Vanity Mirror Smart Device Integration Integrated Turn Signal Mirrors HD Radio Passenger Vanity Mirror Power Mirror(s) CD Player Auto-Dimming Rearview Mirror Universal Garage Door Opener Heated Mirrors Rear Defrost AM/FM Stereo Power Driver Seat Satellite Radio Tow Hitch Adjustable Pedals Bluetooth Connection Passenger Illuminated Visor Mirror Driver Illuminated Vanity Mirror Power Folding Mirrors Driver Adjustable Lumbar WHEELS: 20 Chrome Wheels TRANSMISSION: 8-SPEED AUTOMATIC (8HP75) (DISC) 8-Speed A/T Transmission w/Dual Shift Mode A/T *Note - For third party subscriptions or services, please contact the dealer for more information. * Based on the superb condition of this vehicle, along with the options and color, this Ram 1500 Big Horn/Lone Star is sure to sell fast. The look is unmistakably Ram, the smooth contours and cutting-edge technology of this Ram 1500 Big Horn/Lone Star will definitely turn heads. Beautiful color combination with Pau exterior over T9X9 interior making this the one to own! This Vehicle Does Not Include Tax,Title, And $699 Doc Fee. 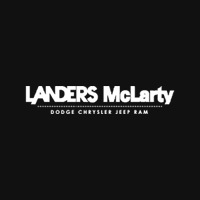 Contact Landers McLarty Huntsville Chrysler today for information on dozens of vehicles like this 2019 Ram 1500 Laramie. This Ram includes: IVORY 3-COAT (DISC) 3.92 REAR AXLE RATIO QUICK ORDER PACKAGE 25H LARAMIE REAR WHEELHOUSE LINERS CHROME APPEARANCE GROUP Tow Hooks Running Boards/Side Steps MONOTONE PAINT DUAL-PANE PANORAMIC SUNROOF Generic Sun/Moonroof Sun/Moonroof LARAMIE LEVEL 1 EQUIPMENT GROUP Variable Speed Intermittent Wipers CD Player Intermittent Wipers Rear Parking Aid Blind Spot Monitor Cross-Traffic Alert Remote Trunk Release Pass-Through Rear Seat Rain Sensing Wipers TRAILER BRAKE CONTROL REAR UNDERSEAT COMPARTMENT STORAGE RAMBOX CARGO MANAGEMENT SYSTEM E-LOCKER REAR AXLE Locking/Limited Slip Differential RADIO: UCONNECT 4C NAV HD Radio AM/FM Stereo Satellite Radio Telematics BED UTILITY GROUP Bed Liner FRONT & REAR RUBBER FLOOR MATS Floor Mats ENGINE: 5.7L V8 HEMI MDS VVT Gas/Electric Hybrid 8 Cylinder Engine TRANSMISSION: 8-SPEED AUTOMATIC (8HP75) 8-Speed A/T Transmission w/Dual Shift Mode A/T WHEELS: 20 Tires - Front Performance Aluminum Wheels Tires - Rear Performance *Note - For third party subscriptions or services, please contact the dealer for more information. * You deserve a vehicle designed for higher expectations. This Ram 1500 delivers with a luxurious, well-appointed interior and world-class engineering. Take home this Ram 1500 Laramie, and you will have the power of 4WD. It's a great feature when you need to drive over tricky terrain or through inclement weather. Added comfort with contemporary style is the leather interior to heighten the quality and craftsmanship for the Ram 1500 This Vehicle Does Not Include Tax,Title, And $699 Doc Fee.